Others: Remote control, Music sensor. 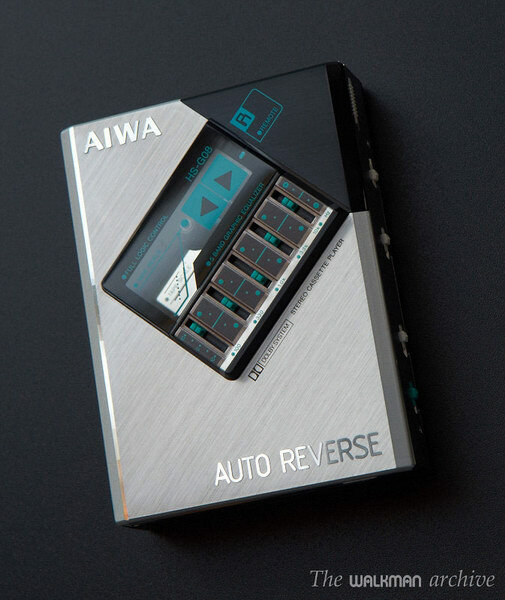 When AIWA released the HS-G08 in 1985 it was a revolution because of the many advanced features that they achieved to fit in a small player. 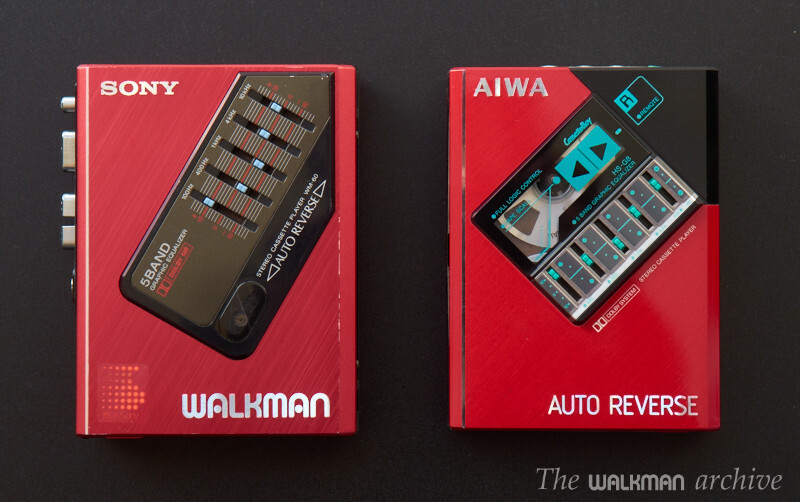 No other player from SONY or other brands could offer such a huge amount of features at the time; it was far more advanced than any other player in the world, except for it's bigger brother, the J08 (this was the most advanced walkman on 1985). 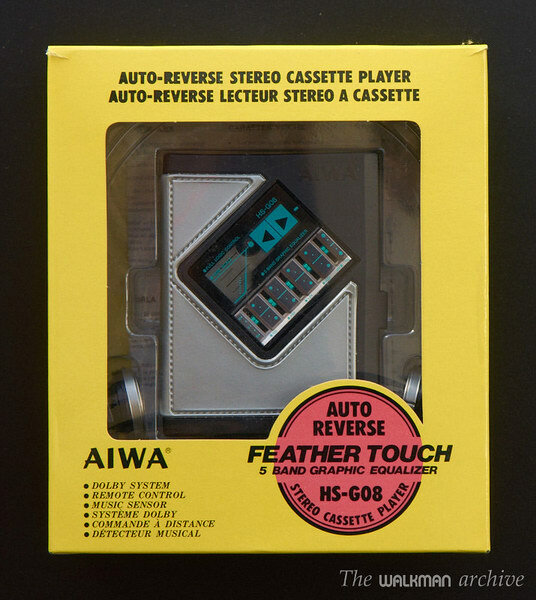 Features like feather-touch buttons, remote control, music sensor and a 5-band EQ put it on a superior step over the rest, and the auto-reverse, Dolby B, hard case, new small earphones that doesn't have upper band and a body made almost full from metal, complete an incredible set of features for a player at the time. The G08 is the same as the P08 with the addition of the graphic EQ. 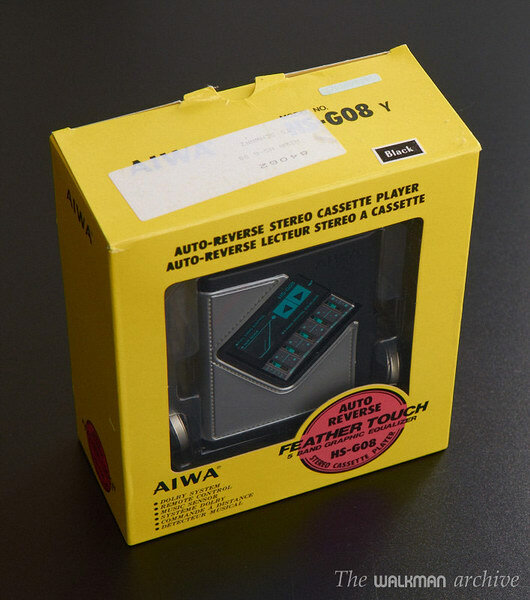 AIWA released their players in the asian market under the "CassetteBoy" brand, which they are basically the same, except that they don't have the "0" before the "8". So in Asia they are called "P8" and in the rest of the world, "P08". Most of my units are from Asia, so you'll see the CassetteBoy logo in their front door. 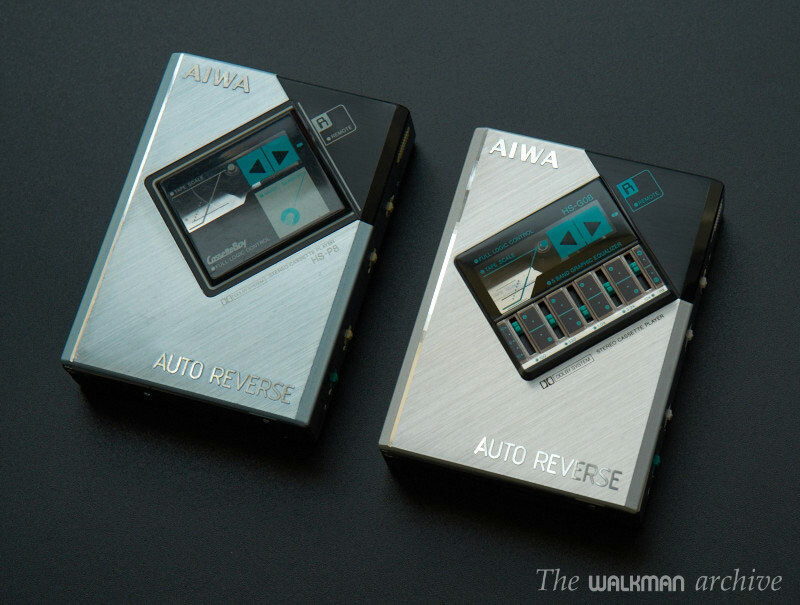 80's was a very particular years and in 1985 many manufacturers were trying to offer an idea of breaking the old rules, to bring fresh ideas. 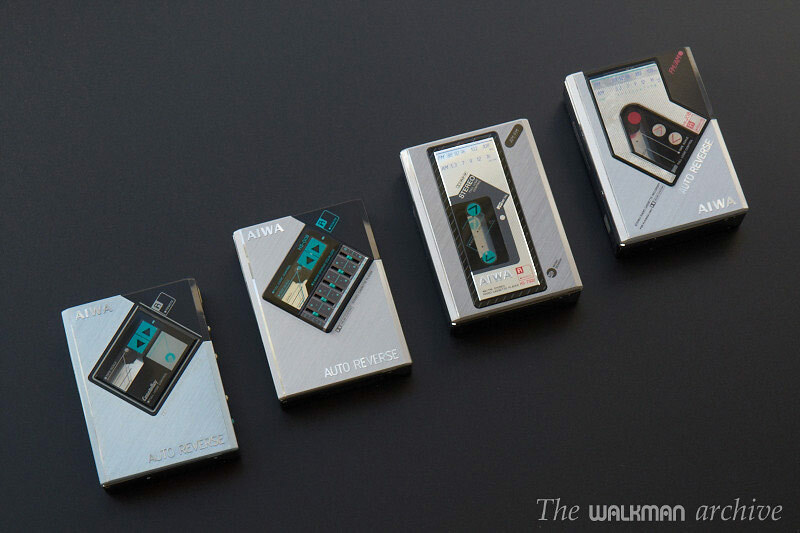 And walkmans helped so much to that idea by allowing the user to listen to music everywhere, but with not so much quality and comodity. 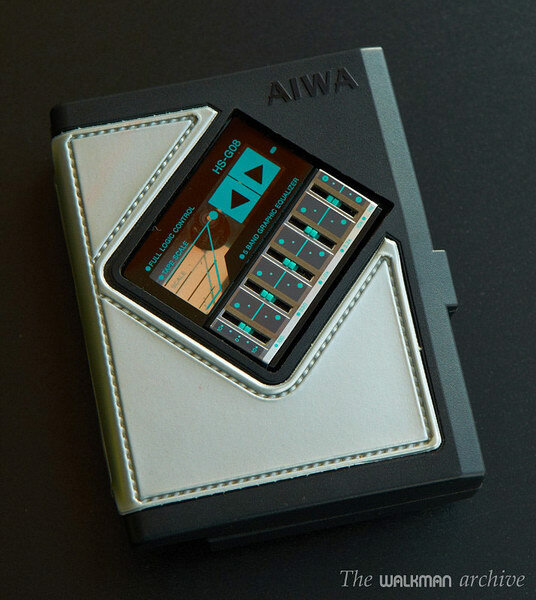 The G08 was AIWA's first player with a remote control, to allow the user to take the player inside (for example in a very cold environment) and fully control it. 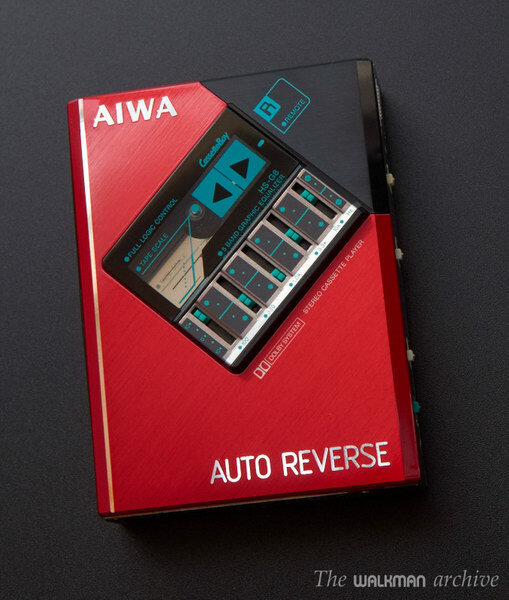 The autoreverse brought the user the ability to not to take it outside to flip the tape, and the 5-band offered a quite good sound equalization, so I think it was a huge step ahead that set a new level of quality and sophistication, although the SONY WM-7 was the first to have autoreverse, feather touch and a remote, but in a pretty bigger size. 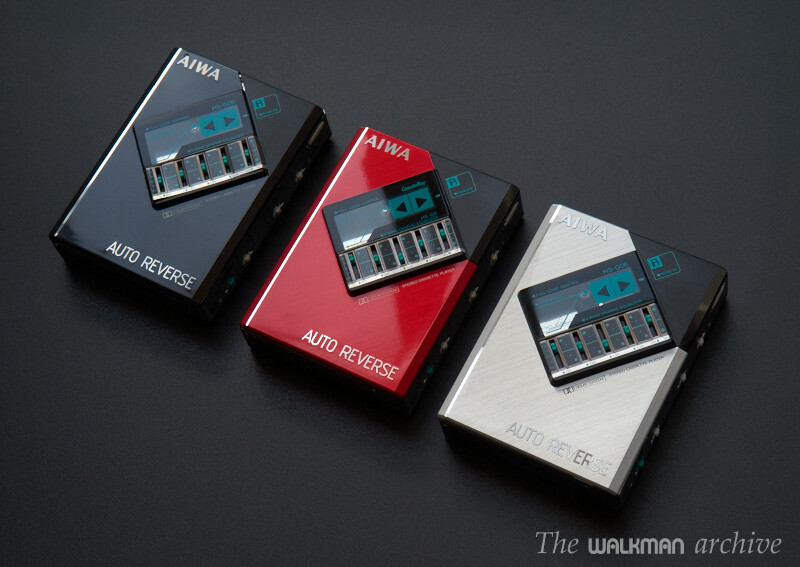 SONY had also the WM-60 which features also a 5-band EQ, but in a budget walkman with older technology and lower price. In terms of sound, it has a pretty good quality, although my unit has a bit high hiss. Once equalized, it sounds pretty good, with nice bass (not as powerful as a good DSL or Megabass) and very good highs and vocals. The controlled frecuencies are: 100 Hz, 330Hz, 1kHz, 3.3kHz and 10kHz. As many other players, with Dolby on, highs are strongly cut. 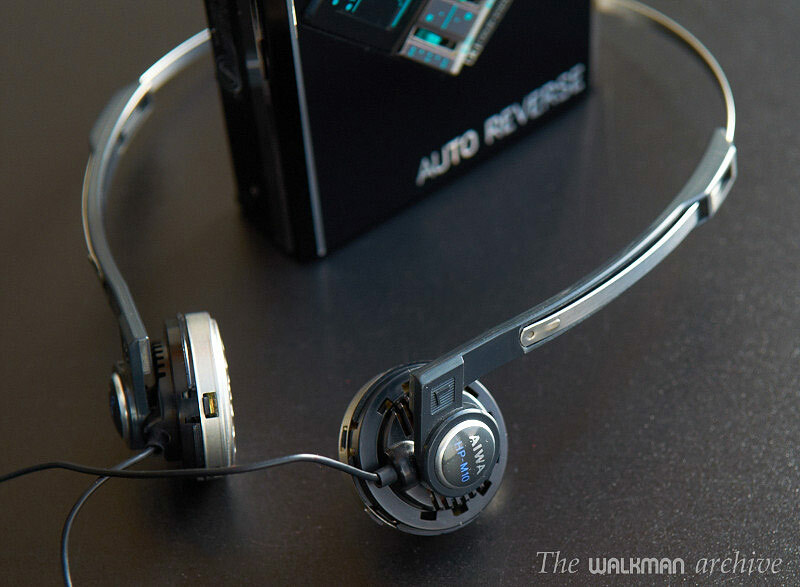 For rating the sound quality, we use a pair of high quality Sennheiser HD 280 Pro headphones, and a test tape (Maxell XL-II) with a high quality recording made with a SONY D6C portable deck. However, this is a personal opinion and it's not intended to be a precision rating. Sound quality yet to test using the new method, actually in develop stage. *: Without Dolby and without any equalization or sound processing. The red version, which has a very nice and powerful red. Extremely rare to find. The music sensor (which detects the next or previous song) is activated by pressing FF or REW while playing. 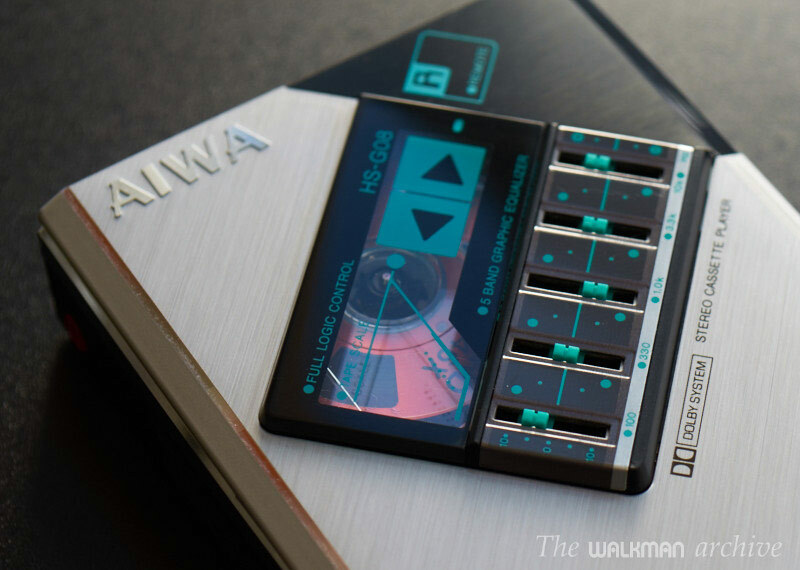 The switches for tape selection, Dolby, etc... Open door. Backside. 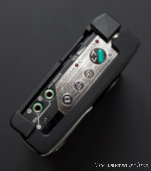 The G08 in its rigid case. The original headphones, without the sponges, that have been disintegrated though time. The silver P08 and silver G08. The gorgeus red P08 and G08. What you see here is probably my favorite serie in my whole collection: the three black, silver and red G08. The original box. Upper view of the original box. What's inside the box. The user's manual. The SONY WM-60 with 5-band EQ was one of the alternatives to the G08, although simpler, lower featured and cheaper. 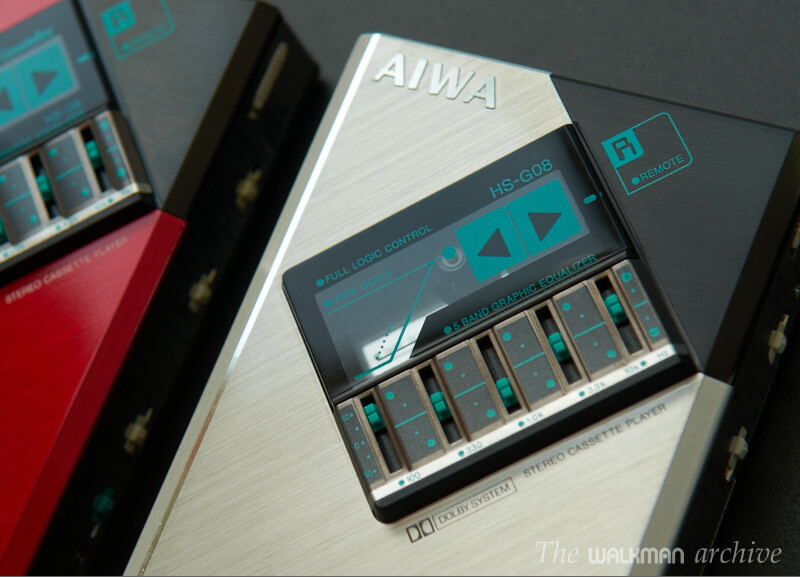 The G08 between the two alternatives from SONY: the WM-60 and the WM-101, the most advanced player at the time. The complete line of AIWA's top players back in 1985. These players are some of my favorites in my collection. 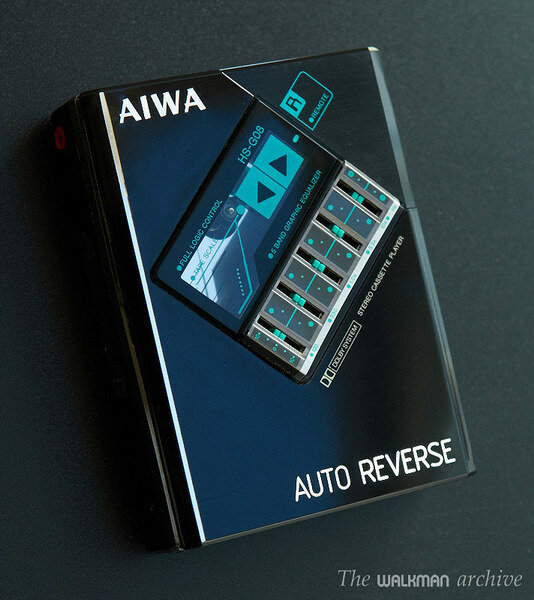 AIWA G08 catalogue (page 1). 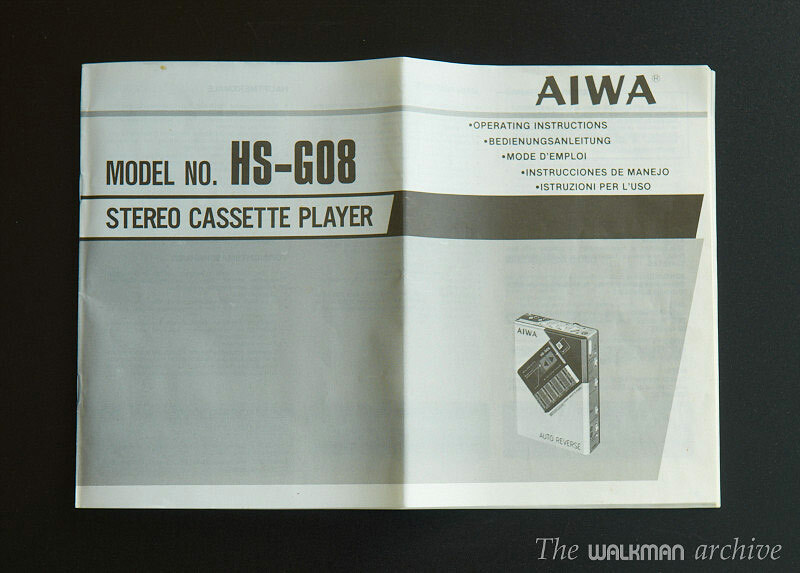 AIWA G08 catalogue (page 2). 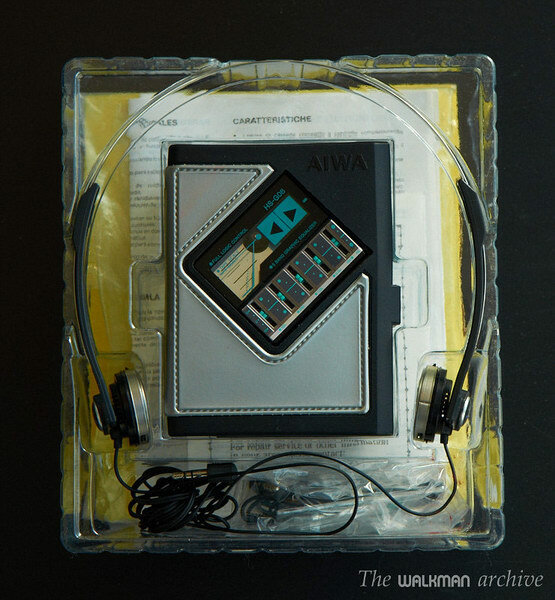 AIWA '85 japanese general catalogue (crop of page 2).